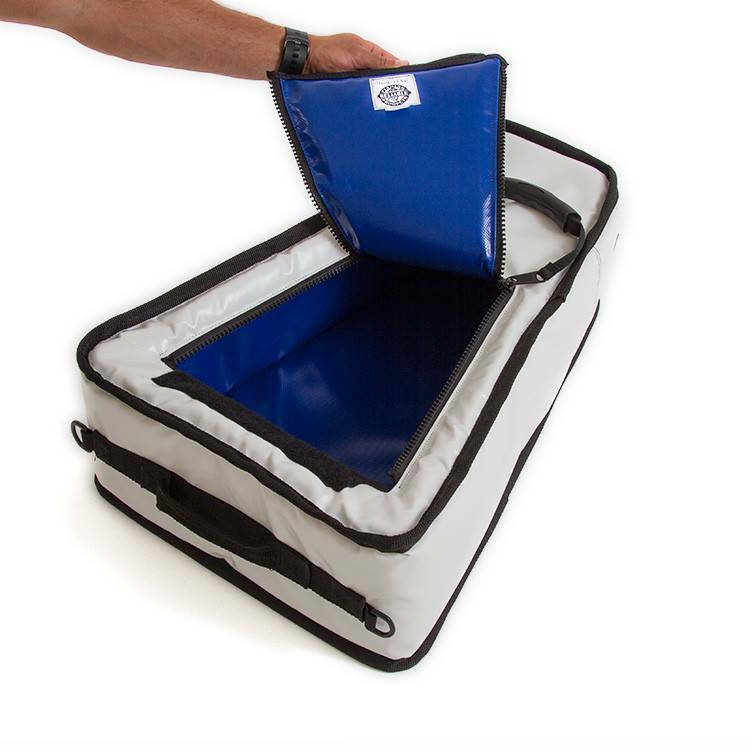 If you’re keeping fish to eat, it’s important to store your catch away from predators and out of the sun, so Hobie has come up with a catch bag to do just that – Got ice? 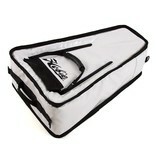 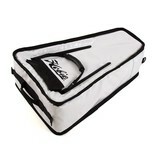 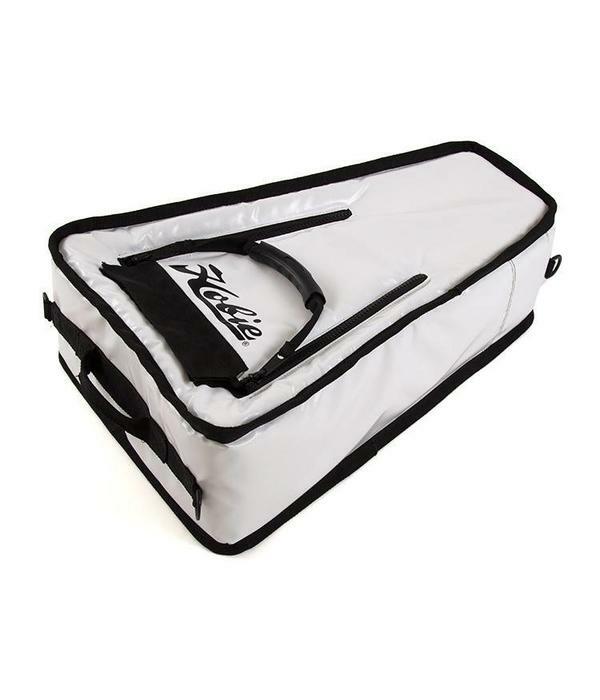 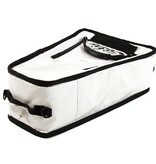 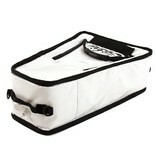 NEW Hobie kayak catch bag! 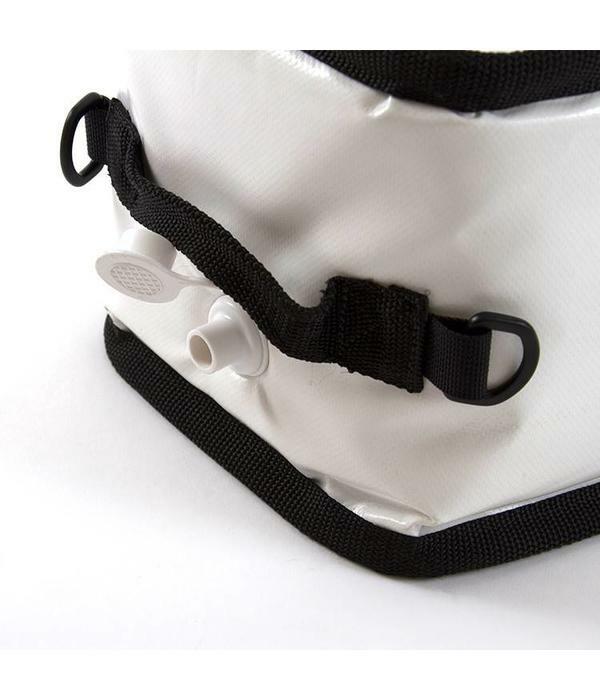 These are constructed of the highest quality materials on the market: half-inch closed cell foam, vinyl coated polyester and YKK zippers. 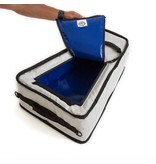 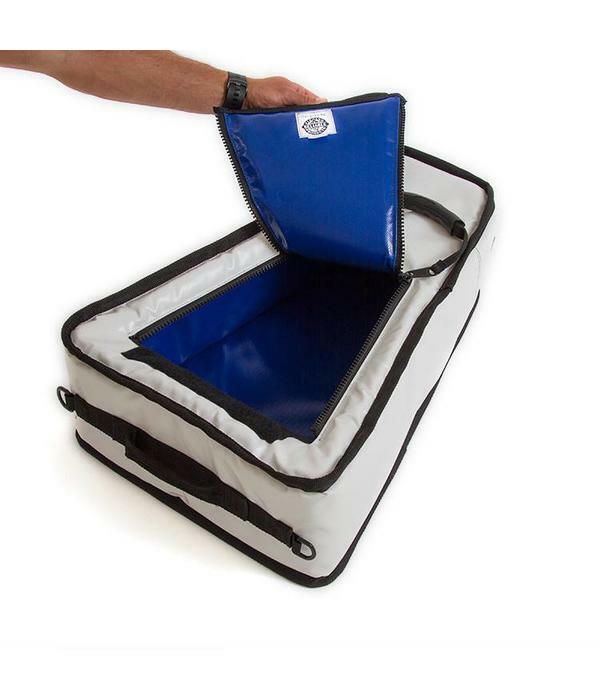 They’ll keep your catch cold and insulated all day, even in very hot conditions. 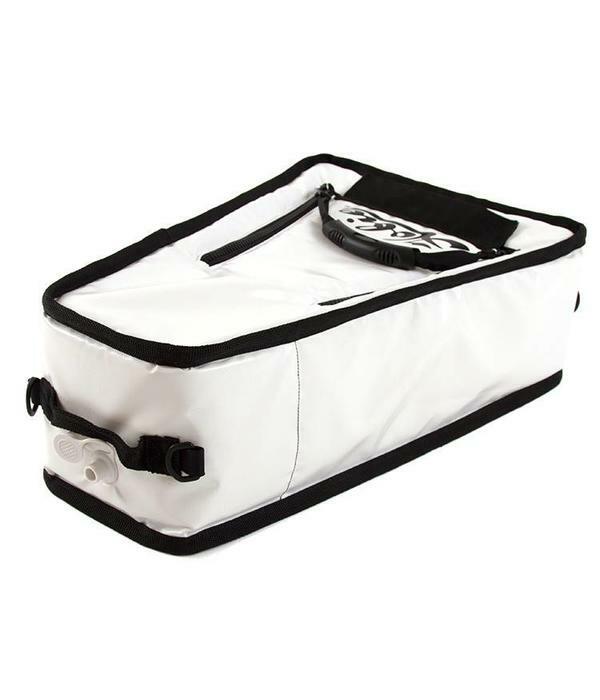 At approximately 26qt., the catch bag has three handles for easy carrying and comes with three d-rings on each side for tying down to the kayak. 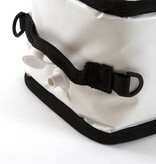 The top has an adjustable bungee cord for storing additional gear. 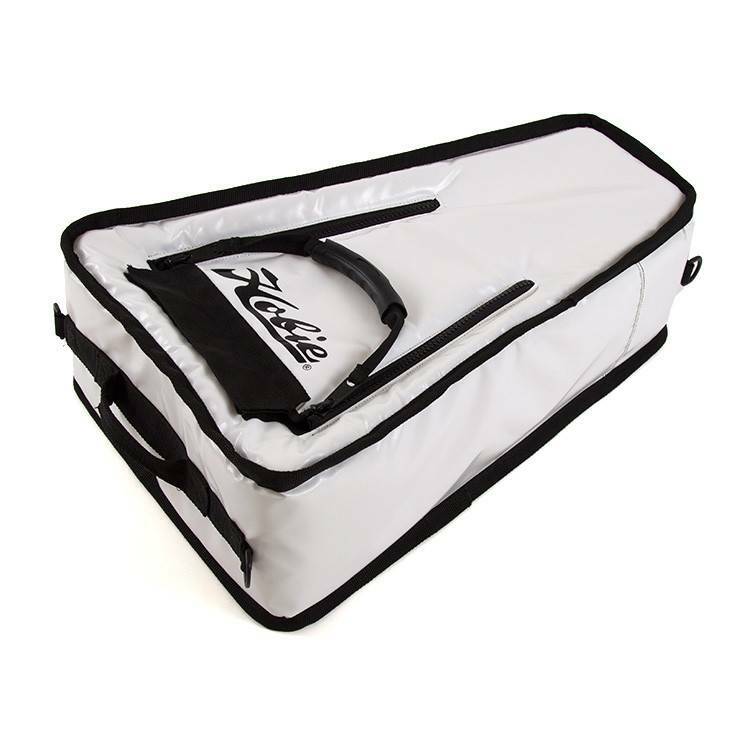 The dimensions are 24 inches long, 7 inches tall, and the bag tapers from 7 inches wide in the front to 16 inches wide in the back.